A custom-built, state of the art barbecue feeding machine! FREE to our customers, charities and non-profits! This one-of-kind trailer will be available to any of our customers for use free of charge. We encourage the use for charity functions and fundraisers which will take priority over personal functions. We estimate availability starting by August 15th. 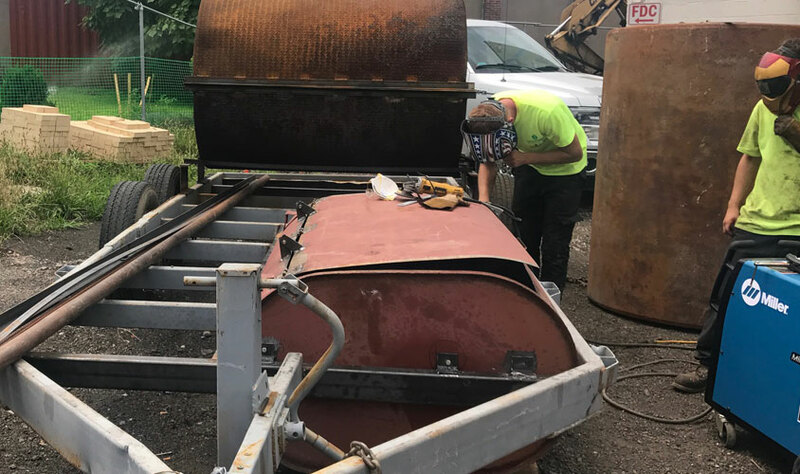 Watch our TankQue being built. If you’re interested in reserving the TankQue for a future event, please complete the form below. All reservations are on a first-come, first-serve basis for any given date.